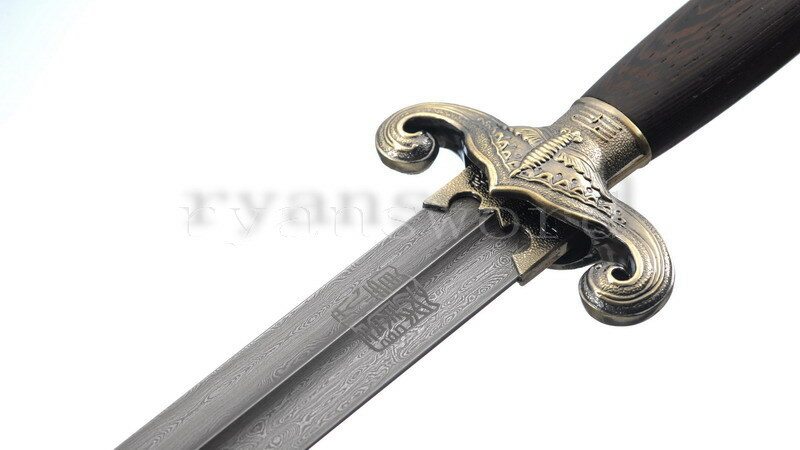 Taiji Jian(sword) is a straight two-edged sword used in the training of the Chinese martial art Taiji Quan. 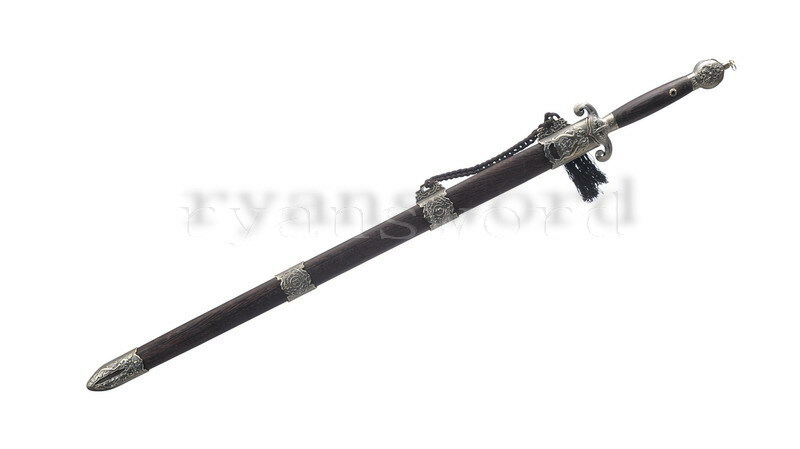 It’s also a traditional Taiji weapon. 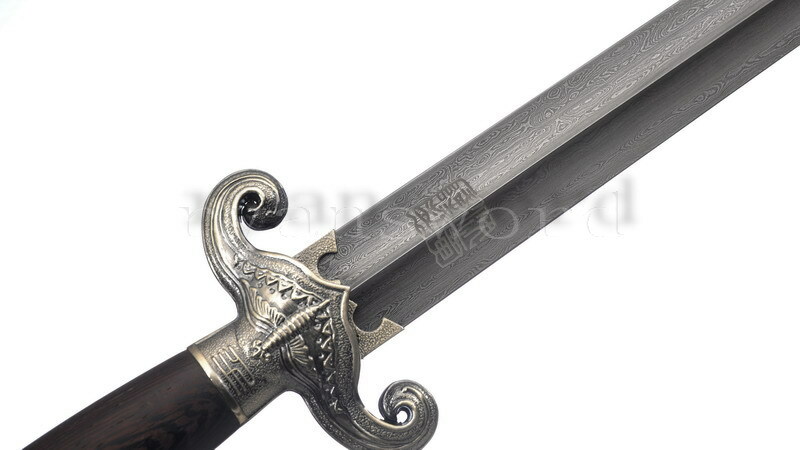 Compared with other weapons, Taiji Jian is light and agile, it is not suitable for heavy cutting. 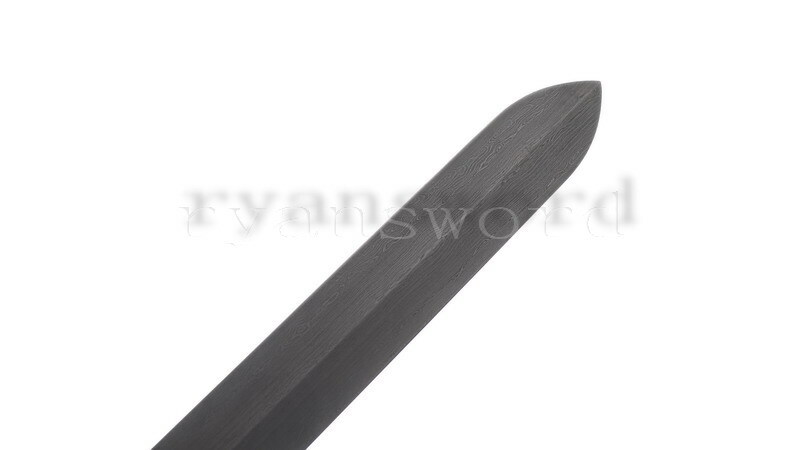 A well-made Taiji Jian requires a lot of skill and experience from the smith to make a well-balanced blade with good flexibility (excluding mold-made stainless steel blades). 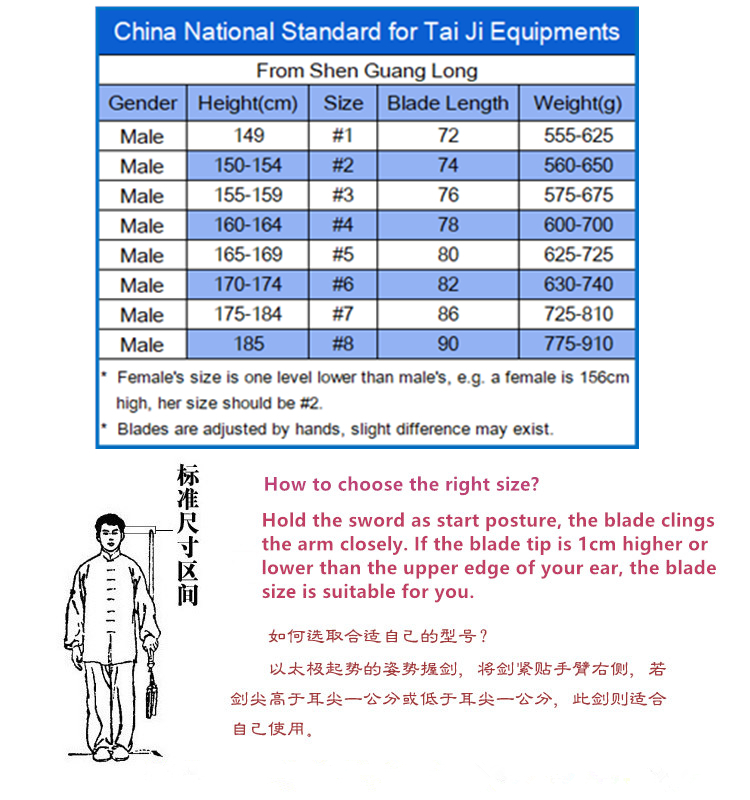 The P.O.B (point of balance) of traditional Taiji Jian is generally located at around 5cm in front of the hand guard. The width at the hand guard is 3.5cm and taper to the tip. 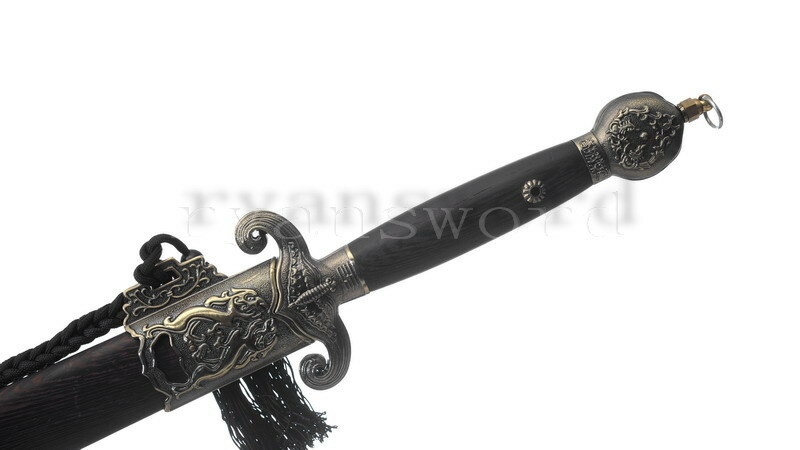 There are two kinds of blades used in traditional Chinese martial art----soft and hard. The soft blade is more for show, not functional for cutting. 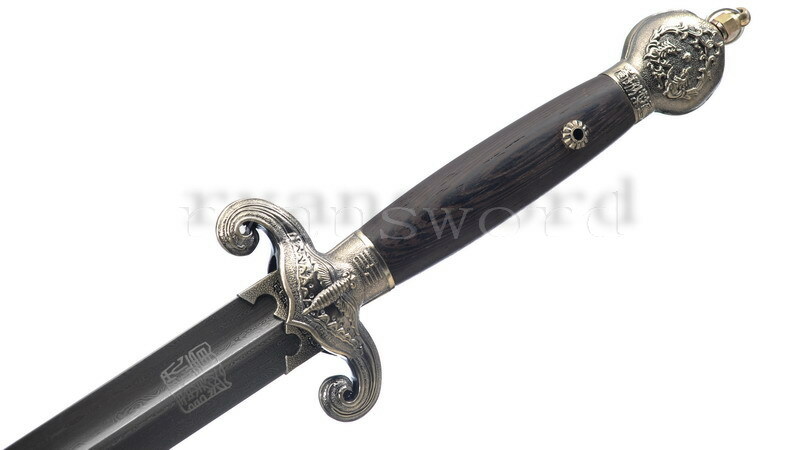 The hard blade is made of carbon steel, it is flexible but hard enough to cut. The flexibility is very important for a Taiji Jian. A easy way to tell the flexibility is to stab the tip of the blade into a block of wood on the ground. 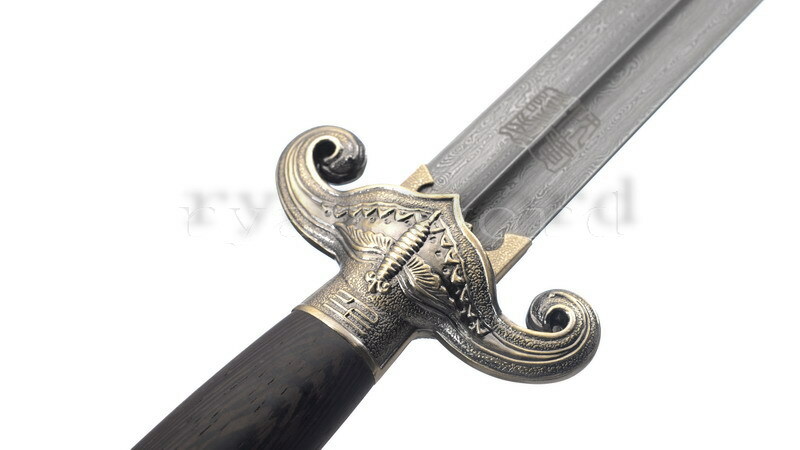 The sword will not stand stably by itself if the blade is too “soft”; if the blade is too hard, then the sword will not move at all. The good blade is when you push it, it swings a bit, something like a clock pendulum but it stands vertically very soon. 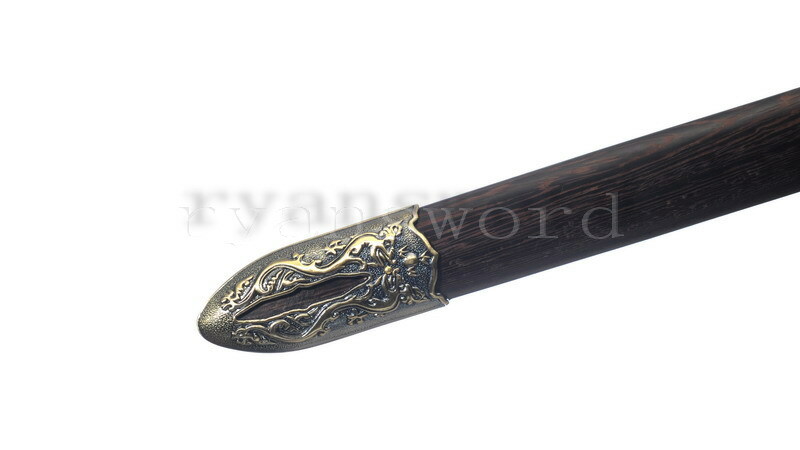 There are many kinds of fittings can be used on Taiji Jian, but brass fittings with engraving are the most typical. 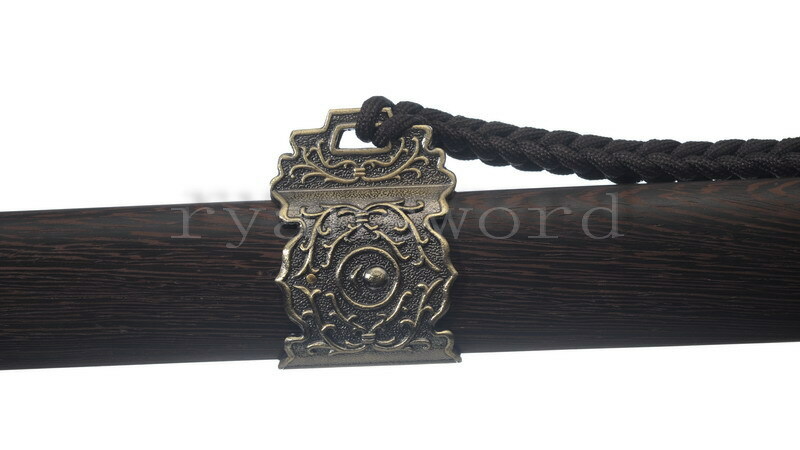 Usually the hand guard is yuanbao-shaped( Yuanbao is gold or silver ingot used in ancient China). 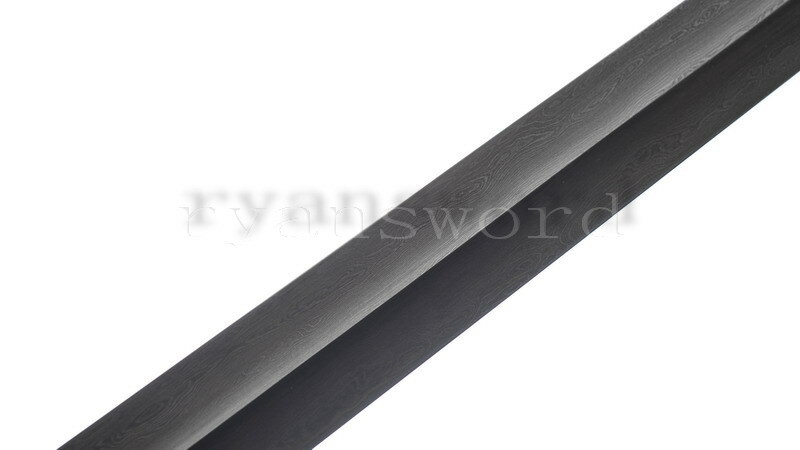 The blade of rsj223 is made of folded steel, beautiful grains of folded steel are clearly visible. 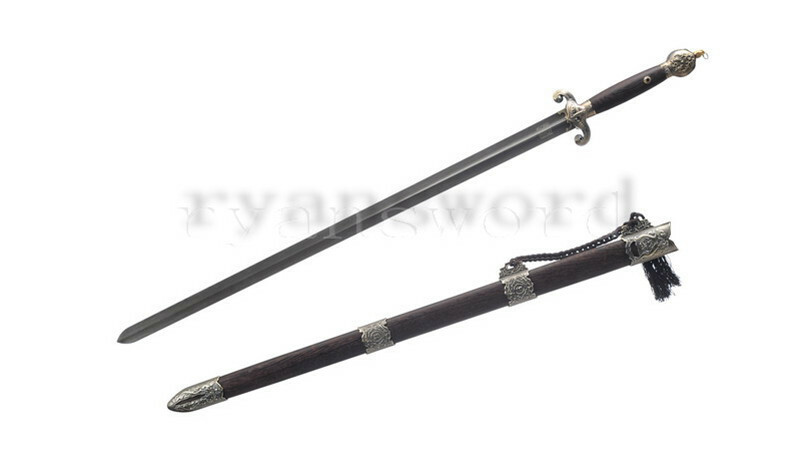 The scabbard and handle are made of rosewood, the color and wood veins are natural. The fittings are made of alloy. The blade is sharpened, it can be dull per customer request. The blade length is customizable.